Popularly called the â€œidiot box,â€ the television has become a vital part of our lives. Can you remember the days when there wasnâ€™t a television set at your home? But, when and how was the television invented? Who was the brain behind this magnificent invention? Well, the history of invention of the television can be contributed to many great minds. In fact, it was not just a single idea that came to the fore, but a combination of inventions by pioneers. At the dawn of television history, there were two distinct paths of technology experimented with by researchers. Early inventors either attempted to build a mechanical television system based on Paul Nipkowâ€™s rotating diskâ€™s technology or build an electronic television system using the cathode ray tube created independently by English inventor A.A. Campbell-Swinton and Russian scientist Boris Rosing. The invention of the mechanical television has its roots in three major incidents: discovery of photoconductivity of selenium by Willoughby Smith in 1873, invention of the scanning disk by Paul Nipkow in 1884 and demonstration of televised moving images by John Logie Baird in 1927. The English electrical engineerÂ Willoughby Smith discovered that the electrical resistance of selenium varies significantly with the amount of light falling on it.Â The photoconductivity of selenium ultimately provided a method for converting images into electrical signals– the basis for photoelectric cells and a theoretical basis for television. 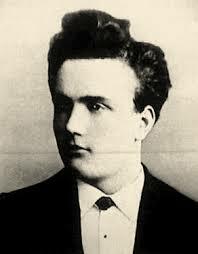 At the age of 23, Paul Nipkow, a German University student, proposed and patented the first electromechanical television system in the year 1884. In fact, he never built a working model of the system; however, the variations of his spinning disk â€œimage rasterizerâ€ for television became quite popular and were commonly used until 1939.
electromechanical technologies; he had also mentioned the work of Nipkow. Though there wasnâ€™t any immediate breakthrough, in 1907, Lee de Forest, Arthur Korn and a few others made developments in the amplification tube technology which made the design practical. It was Georges Rignoux who first demonstrated the instantaneous transmission of images in Paris in 1909. The electronic retina comprised of a matrix of 64 selenium cells that were individually wired to a mechanical commutator. A type of Kerr cell modulated the light in the receiver and a series of differently angled mirrors attached to the edge of a rotating disc scanned the modulated beam onto the display screen. Synchronization was regulated by a separate circuit. The 8×8 pixel resolution in this proof-of-concept demonstration was enough to clearly transmit individual letters of the alphabet.Â An updated image was transmitted a number of times each second. This became the first ever demonstrated instantaneous transmission of images. A couple of years later, Boris Rosing and his student Vladimir Zworykin developed a television system that employed a mechanical mirror-drum scanner that transmitted very crude images over wires to the Braun tube or the cathode ray tube in the receiver. However, it was not possible to transmit moving images because of inadequate insensitivity and the laggy selenium cell in the scanner. 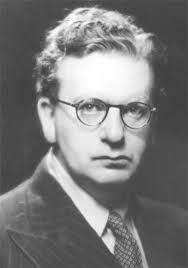 It was in the year 1925 that the Scottish inventor John Logie Baird gave the first public demonstration of televised silhouette images in motion at the Selfridge Department store in London. In the same year, Bell Labs transmitted halftone still images of transparencies. Later, Charles Francis Jenkins transmitted the silhouette image of a toy windmill in motion from a naval radio station in Maryland to his laboratory in Washington DC, covering a distance of five miles. He used a lensed disk scanner that had a 48-line resolution. If television is defined as the live transmission of moving images with continuous tonal variation, well, it was first achieved privately on the 2nd of October, 1925 by John Logie Baird. However, at that time, Baird had not yet achieved the threshold required to provide the illusion of motion, which is generally defined as minimum 12 images per second; his scanner worked at only five images per second. But, this guy did not stop there. He tried hard and he improved the scan rate to 12.5 images per second by January, 1926. On January 26, 1926, Baird gave the worldâ€™s first demonstration of a working television system to the members of the Royal Institution and a newspaper reporter from The Times. The vertically scanned image produced by Baird, using a scanning disk embedded with a double spiral of lenses, had just 30 lines, something that was sufficient to reproduce a recognizable human face. 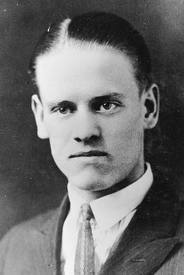 Later, in 1927, Baird transmitted a signal over telephone line between London and Glasgow, that is, over 438 miles. The following year, Baird company, Baird Television Development Company/Cinema Television, broadcast the first transatlantic television signal and first shore-to-ship transmission. Besides, Baird demonstrated an electromechanical color, infrared and stereoscopic television with the aid of additional lenses, disks and filters. In 1929, Baird became involved in the first experimental electromechanical television service in Germany. 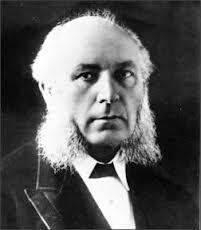 Â Moreover, Baird was the first person to invent Phonovision, video recording mechanism. By employing the traditional audio recording mechanism, he modulated the output signals of TV camera, down to audio range while capturing signals on wax audio discs. A few of his recordings still exist; they were decoded to viewable pictures in the 1990s with the help of signal processing technologies. Towards the end of the same year, he along with Bernard Natan, established the first television company of France, TÃ©lÃ©vision-Baird-Natan. 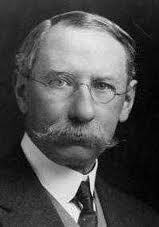 Thus, Baird played a key role in the invention of the television system. In the year 1940, CBA scientists developed a mechanical color television set based on the designs of Baird. The set worked with the help of blue, green and red wheel spin in face of ray tube. In 1948, around one million television sets were sold in the United States! In 1927, Herbert E. Ives and Frank Gray of the Bell Telephone Laboratories gave a striking demonstration of the mechanical television. The reflected-light television system had both small and large viewing screens. The small receiver had a 2 inch wide by 2.5 inch high screen. The larger receiver had a screen that was 24â€ wide and 30â€ high. Both these sets produced reasonably accurate, monochromatic moving images. The sets also received synchronized sound along with the pictures. This system was lauded as the best demonstration of a mechanical television system ever made at that time. Around 1925, Leon Theremin of the Soviet Union had developed a mirror drum-based television. Gradually working on the resolution part, by 1927, he was able to achieve an image of 100 lines, a resolution that was not beaten until 1931. Kenjiro Takayanagi of Japan demonstrated a television system with a 40 line resolution in the year 1925. He used a Nipkow disk scanner and a CRT display for this system. However, his research in creating a production model came to a halt when Japan lost World War II. Electronic television is based on the development of the cathode ray tube, which is the picture tube, found in the modern television sets. The German scientist, Karl Braun invented the cathode ray tube oscilloscope (CRT) in 1897. Alan Campbell-Swinton, fellow of the Royal Society, UK, was the one who paved way for the concept of an electronic television when he published a letter in the scientific journal Nature in which he had described how distance electric vision could be possible when a cathode ray tube is used both as a transmitting as well as a receiving device. This took place in the year 1908 and obviously this was the first iteration of the electronic television method that is ruling the field today. He further expanded on his vision in a speech given in London in the year 1911. Campbell-Swinton conducted a few experiments with G.M. Minchin and J.C.M. Stanton. They actually tried to generate an electrical signal by projecting an image onto a selenium-coated metal plate which was simultaneously scanned by a cathode ray beam. These experiments were not very successful but were repeated by two different teams in the year 1937. These teams succeeded in transmitting very faint images using the original Campbell-Swintonâ€™s selenium-coated plate. The novelty introduced in the process was the usage of the cathode ray tube as a transmitter! In the late 1920s, when electromechanical television was yet to be introduced, a few inventors including Philo Farnsworth and Vladimir Zworykin in the United States and KÃ¡lmÃ¡n Tihanyi in Hungary were already working independently on versions of all-electronic transmitting tubes. Farnsworth developed the dissector tube which is the basis of all modern electronic televisions. In 1927, Farnsworthâ€™s image dissector camera tube transmitted its first image at his laboratory in San Francisco. The image was a simple straight line. He achieved almost double resolution compared to Baird. The very next year, Farnsworth had made sufficient up gradations to the system to demonstrate it to the press.Â He transmitted the dollar sign image that comprised of about 60 horizontal lines. Besides, he showcased his invention in front of the press in September 1928. Â In 1929, by eliminating the motor generator, the system became a complete television system without any mechanical parts. The same year, Farnsworth managed to transmit the first images of live humans with his system that included a three and a half inch image of his wife Elma with her eyes closed! He filed for his first television patent in 1927 (#1,773,980). failed to reach beyond the laboratory. However, in course of time, he developed an improved cathode ray tube referred to as the kinescope (1929). Zworykin was one of the first to demonstrate a television system with all the features of modern picture tubes. showcased a fully electronic display and scanning elements. This instrument used the principle of charge storage in the scanning tube. This was a camera tube that was able to accumulate and store electrical charges (photoelectrons) within the tube throughout each scanning cycle. Charge storage remains a basic principle in the design of imaging devices for television to the present day. The shadow mask color TV was disclosed by a German engineer, Werner Flechsig, in the year 1938. He demonstrated the earliest version of todayâ€™s analog signal television. It was in the year 1939 that television was first displayed at the World Fair at New York and International Exposition at San Francisco. Â In 1938, commercial manufacturing of television sets was initiated by DuMont Company and within a short period of time, these sets became a standard to which all the other television sets were assessed. Â Besides, the DuMont labs had explored and worked on the cathode ray mechanism in 1931 and in the year 1946, the companyâ€™s first television network became the worldâ€™s first network. Interestingly, this network was mainly set up for the purpose of selling television sets. Â In 1940, Pennsylvanian mountains were the first to give rise to cable TV that was known as CATV then. The earliest color television was commercially televised by the FCC in 1953. Lazy bones or the first ever television remote controls were introduced in 1950 by the Zenith Corporation and these were a commercial hit ever since 1956. Â Television has unquestionably become one of the most important sources for entertainment. Television has transformed completely ever since its inception. 3D TV is the latest edition to the world of entertainment. Â Not only in terms of viewing experience, the television has progressed in terms of looks and features as well. A plethora of features are offered in the latest devices. Â Well, isnâ€™t it partly true guys? You made no mention of the Marconi-EMI system (405 lines) used by the BBC from 1936.